Does fatty liver cause diabetes? Simply put a fatty liver is when your body takes in more calories and fat than your liver can handle. The liver is more vulnerable to more harm from the result of excess simple fats building up in the liver cells. The most common reason for this occurrence is obesity. Being overweight can increase your chance of developing a fatty liver by as much as 75%. There are a number of fatty liver disease symptoms that I will talk about. But beware because there’s a chance that your fatty liver can cause diabetes too. But there are two other main factors which can cause fatty liver. They are alcohol abuse and diabetes. They are things that can be prevented and controlled. With consuming too much alcohol, your chances of getting a fatty liver can increase to between ninety and one hundred percent. Now I have the problem with the diabetes and I’ve been addressing it since I was diagnosed. It’s just so important to stay on top of it. Because with diabetes there are many factors involved here. It’s about losing weight, eating right, exercising, seeing the doctor routinely and having labs done so we know what the numbers are. What I don’t have is a problem with and never will is alcohol. I never drank or smoked so at least I have that in my favor. Obesity. It’s most likely the main cause of fatty liver. And especially around the mid section increases the chances by seventy five percent. And if your in the forty to fifty age group and overweight you’re more apt to develop this condition. The absolute best thing is to get rid of those extra pounds and start planning daily exercise. Changes in your skin. Jaundice appears as yellowing in the whites of the eyes and also of the skin and this is a sign of liver disease. Excess bilirubin in the blood cannot be excreted from your body because of decreased liver function and thereby blocking the bile flow from the liver resulting in tiny and itchy yellow bumps on the surface of your skin and eyelids. In addition you may notice a discoloration around your neck and under your arms. You might also have your palms turning red, spider veins in various places such as your shoulders, back, and chest areas. Fatigue. The body works in such a way that if any organ becomes compromised, the body tries to offset this by pumping more blood to that particular organ (the liver). This can be responsible for such symptoms as: confusion, weakness, problems with concentration, and fatigue. Abdominal pain. This could possibly be a sign of liver failure or liver disease. A feeling of pain in your upper right abdomen or center section will give you a clue. Retention of fluid. Fluid buildup in the liver and abdomen can occur in the beginning of liver disease that is severe. Now that the abdomen is swollen, this leads to possible breathing problems because of the pressure against the organ. Retention of fluids can also occur in your ankles, lower legs, and feet as well. These lower parts of your body are receiving excess fluid now because of gravity. Urine color. It’s important to also keep track of the color of your urine because that can give you important indications about what’s going on in your body. Drinking a lot of water keeps your urine coming out a clear color. Not drinking enough results in yellow or darker yellow. You don’t want that. But with jaundice, your urine starts to appear dark. Normally the urine processes these toxins that are making the dark color. Make sure your doctor gives you a urine test along with your blood work. Genetics. 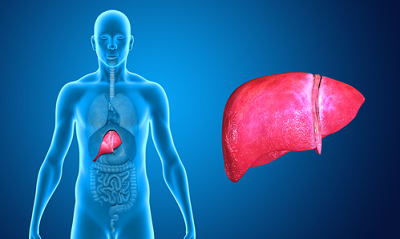 If your heredity reflects alcoholism or obesity, or your born with lower liver enzyme levels, then this could be an indication of liver problems for you down the road. The enzymes have to do with your metabolism of alcohol and fats. There isn’t anything you can do about genetics, but it’s still something you should be aware of regardless. And knowing this you should do everything that you can to maintain good health. Zero symptoms. 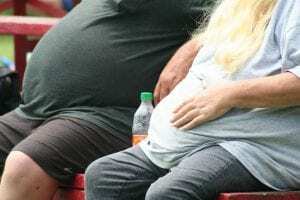 Fatty liver disease and diabetes have something in common. They are both referred to as “silent killers.” They can show no symptoms especially early on. So it should not be left untreated over many years. If fat builds up over time, the liver will become inflamed and the result will be scarring on it. You don’t want to leave this untreated or liver failure will set in. Prevention is key here folks. Reduce the weight, and lower the alcohol consumption. It’s the two biggest causes of liver disease. Supplements. Herbal supplements can help with a variety of health issues. I take supplements myself but I always check with my doctor first because it’s that important to do so. Most are fairly safe but you don’t want interactions with any medications that you may be taking or taking anything that may do harm down the road. There are some supplements that can result in liver failure such as kava, ephedra, and skullcap. I would dive in and do more research and most definitely consult with my physician before I take anything, especially these supplements because they can really do harm to your liver. Extreme use of acetaminophen. This is a big one! Like anything you take over the counter, please READ THE LABELS! 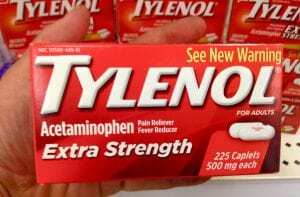 Tylenol is okay for a few aches and pains in the back or head but do NOT use in excess. Too large a dosage or long term excessive use is going to impact your liver and how it functions. Please do not ignore this! Better to know this now than later one when it’s too late because you had no idea. Viruses such as hepatitis. All forms of hepatitis can cause liver failure. Hepatitis A,B, and E can cause liver failure unless you treat it! You want to also discuss with your doctor if you’ve ever had either the herpes simplex virus, or Epstein Barr. These two can do damage to your liver as well and I’m sure your doctor knows that. Prescription drug overdose. Okay, you hear about this all the time. Drugs can be very dangerous especially if they interact with each other or if taken in excessive quantities. Always ask the physician about any antibiotics they prescribe that they won’t do any damage to your liver. Other drugs that are dangerous are drugs that are anti inflammatory such as naproxen and ibuprofen which are intended to treat convulsions and seizures. Illegal drugs. There’s no too much to say about this. They’re illegal to begin with. But people obviously take them. Painkillers such as ecstasy, cocaine, and oxycontin can do real damage to your liver. Again, anything you take should be discussed with your physician. Diseases. There are various diseases that aim at any part of your body around your liver and can cause liver damage. An autoimmune disease can cause inflammation by striking your liver cells and resulting in liver failure. Control your blood sugar. That’s important. 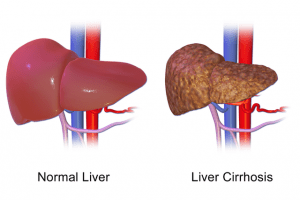 You must listen to what the doctor says to prevent, treat, and possibly reverse a fatty liver. Controlled blood sugar is crucial here! Fatty liver can possibly cause type 2 diabetes. Limit or avoid any alcoholic beverages. Sorry but they just don’t mix with a bad liver. Watch your cholesterol. Another health issue that can add to many others is high cholesterol. Both you and your doctor will keep an eye on this. Weight loss. It’s all about the excess weight and fat. This is a huge epidemic worldwide. Start eating healthy right now. Losing just ten pounds for starters helps a lot. Get a plan for eating the right foods and stick to it. Reduction of calories daily will help you to lose weight and aid in healing your liver at the same time. E-X-E-R-C-I-S-E- There! I spelled it out for you. Just do something, but MOVE. Take action.You’ll be glad that you did the next time your lab numbers come down. Elimination. The secret to reversing fatty liver disease to eliminate foods high in sugar and fatty foods altogether. Even reducing them will help but it’s best to stop them cold turkey. Have fish and chicken in place of red meats. Oatmeal. It gives you the energy you need from this whole grain carbohydrate. It helps you control your weight because of the fiber content. Green tea. It has many health benefits that include aiding in sleeping and lowering your cholesterol. It is possible that green tea can help disrupt the absorption of fat, but nothing is conclusive yet. Garlic. Okay, again, not my favorite but is very beneficial for flavoring and aiding in decreasing your body weight. Coffee. 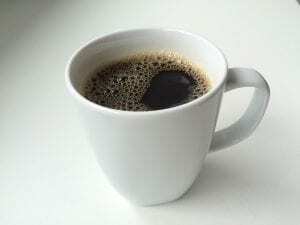 If you’re a coffee drinker, then you might have less damage to your liver than those who not drink coffee. It would appear that the caffeine in coffee decreases the abnormal amount of enzymes for folks who might be at risk for fatty liver disease. that aids in preserving your liver from any more damage than there already may be. Avocados. They are one of the fruits that are the most beneficial for your health. Since they are high in fats that are healthy, they also contain chemicals that possibly slow down damage to the liver. Walnuts. Eating these nuts with high amounts of omega 3 fatty acids have improved liver function. Dandelion root. Dandelion root is an extremely powerful herb and used to treat liver disease because it metabolizes and detoxes fat in the liver. It also shows very promising results and has been used against cancer. So does fatty liver cause diabetes and what is the future look like for fatty liver disease? Well the bad news is that it could be a very serious health threat if ignored. The good news is that there are a large number of cases of fatty liver that never develop into liver disease. So take action as far as everything that’s been discussed here with weight, alcoholism, cholesterol, diabetes and since your liver can actually repair itself, you are able to reverse your fatty liver disease. It’s my goal to help anyone with fatty liver disease or any other health issue for that matter. If you would like to lose weight and help to control your diabetes, I highly suggest this! Now if you could help me out by leaving any comments or questions below. I will respond to you as soon as I can possibly can. Thank you so much for reading! Stay happy and healthy! Triglycerides and Diabetes-Stop Triglycerides in Their Tract Now! Thank you so much for such a great read from that great post. Being an RN, I realize full well the terrible path of damage that Type 2 Diabetes can carve in peoples lives, & yes the liver damage that follows is a terrible thing to witness. But, you have spelled out the dangers and also the remedies very well. Thanks again for a great post!! Well Done!! I agree and the best thing to do is to spread the word so others know and can possibly avoid liver damage and diabetes. If this helps even one person, it’s still worth it. Thank you for your comments! Many people are neglecting the healthier way of living, until it’s too late. For example, some people prefer drinking than eating healthy and exercising, not because they are lazy, but because they are believing that alcohol is bringing them joy and pleasure. Your article is like a warning sign. We should be more cautious about our bodies, and what we are consuming. Yes people are neglecting their bodies and their health. There are many different cause of fatty liver but I believe that the biggest cause could be ignorance or laziness. It’s time for folks to wise up and take notice of what bad habits can do to causing a fatty liver. Thanks for your comments! You know why you never heard of fatty liver disease before Andre? It’s because it’s never openly discussed. Being overweight is the big culprit and getting rid of the excess weight and having our labs done regularly is what will help to change that. Thanks for your comments Andre! Thanks so much for a well written article about this topic, Fatty liver disease symptoms. I never gave a thought on it, but think it’s important to think about our health and not miss this point. Life can be fast and frugal, and most of the time we don’t give a moment to think about what is important. You make a strong point here, easy points to keep in mind about why is important to keep doing exercise, eat better and stay healthy. Yes it’s always about eating healthy to stay healthy. Exercise is always at the top of the list too. Having blood work done regularly helps your doctor stay on top of a fatty liver. It’s important to know. Make the changes now to control a fatty liver if you have one. Thank you for commenting!